Andrew Chase has been managing the Sunburst manufacturing operation for over 6 years and, with his team, is responsible for the company’s continuous operational improvements and financial growth. In December of 2003, Andrew led an investment group in acquiring Sunburst EMS from its former parent company. Prior to joining Sunburst in 1998, Andrew spent over 14 years in the telecommunications and networking equipment business in a variety of senior management roles in product operations, business development, sales, and marketing with Motorola, Network Equipment Technologies, and Advanced Computer Communications. Andrew has a BS from the University of Vermont and an MBA from Babson College. 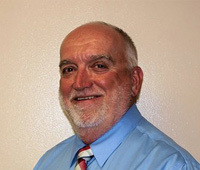 George Agyare is responsible for all accounting and financial planning functions for Sunburst EMS. George joined Sunburst EMS in 2001 from his controller position at ITW where he spent 10 years in cost accounting and planning functions. Prior to that, George held accounting positions with Raytheon, Data General, and Liberty Financial Group. George holds a BS from University of Southern Maine and an MBA from University of Southern New Hampshire. 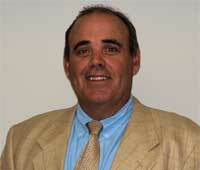 Steve Haley has over 20 years experience in the electronics industry. Steve joined Sunburst EMS in 1997 as Materials Manager and served in that function for several years prior to moving to Manufacturing. Prior to joining Sunburst, Steve held various management positions in production planning, materials management, purchasing, sales and operations management with LTX Corp, BSR/ADC Parts & Service, Power General Corp., and SMT East. Steve is certified in SPC and a member of APICS. 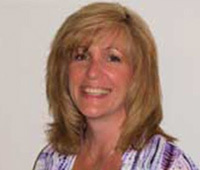 Julie Caulfield is responsible for managing key customer relationships for Sunburst EMS. 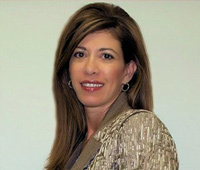 Julie joined Sunburst in 1999 from US Assemblies, where she served as Program Manager for four years. Prior to that, Julie spent 12 years at CPC, a PCB fabricator, and held senior positions in engineering services, Materials Operations, and Sales. 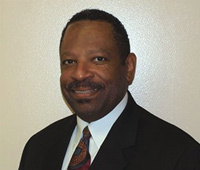 Michael has over 40 years’ experience in the semiconductor and electronics industry. 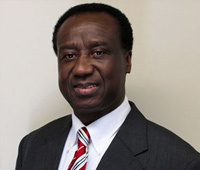 He has held various engineering and senior management positions in the areas of semiconductor application engineering, design engineering, manufacturing and quality engineering. Prior to rejoining Sunburst, he held positions with Distron Corporation, US Assemblies, SMT East and Unitrode Corporation. Michael is a US Navy veteran and has a BS degree from Wentworth Institute of Technology. Jacqueline joined Sunburst in December 2003. Prior to assuming her position as a Business Development Manager she was a Strategic Account Manager with Future Electronics. She has worked in the electronic industry, in both distribution and manufacturer roles, for over 10 years. Her experience adds knowledge of customer relations and time-to-market, and her understanding of the dynamics between OEMs and EMS brings further value to business development. Originally from New York City, Jacqueline attended SMSU in Springfield Missouri specializing in business and marketing, before moving to Florida where she started her career in the semiconductor industry.